In December of 2010, BRG opened their first restaurant, Bar Esquina, in the resort town of Cabo San Lucas, Mexico. Bar Esquina features a unique twist on Internationally creative cuisine – Mexican influenced Mediterranean flavors that utilize locally grown and organic produce, fresh fish from the Pacific and Sea of Cortez, and the highest quality meats cooked on a mesquite grill. Bar Esquina quickly gained national and international recognition as one of the best restaurants in Cabo, and all of Mexico, and also marked the debut of BRG’s star chef, Chef Laurent Saussy, who has since signed on as Executive Chef of every future BRG property. After the great success of Bar Esquina, BRG set their sights on Santa Monica, California as the location of their next endeavor. 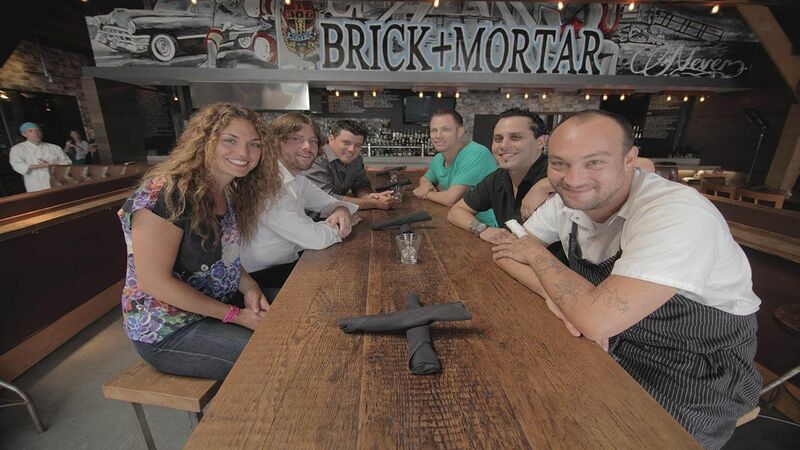 After a fast and furious 8-day re-vamp of the space previously known as Salute Wine Bar, Brick Mortar opened in February of 2012 and quickly cemented its status as Santa Monica’s best hotspot for incredible food in an exciting atmosphere. Brick Mortar incorporates the elements of a classic neighborhood bar in a chic, luxurious way, while serving up a mouth-watering menu of Modern American fare that surprises the senses by adding a twist to the simplest dishes with unique, artistic presentation." Fall 2012 welcomed BRG’s third location in the gastronomically renowned city of West Hollywood. Fatty’s Public House is a Contemporary American restaurant and bar that pays tribute to the late owner of the property, Fatty Arbuckle.